Jacob Shayovitz is the Chairman & Founder of Approved Funding, a multi-state Mortgage Banker and Direct Lender. He is also the President/CEO of J. Shayovitz Real Estate. 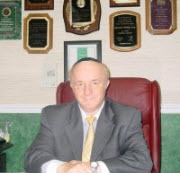 Mr. Shayovitz has been in the Real Estate business for over thirty years and built a reputation of trustworthiness, loyalty and exceptional knowledge of Real Estate, Mortgage Banking and Appraisal professions/businesses. He has been a member of many elite professional organizations for many years. Among them, National Association of Real Estate Appraisers, National Association of Review Appraiser and Mortgage Underwriters, Appraisal Institute, Institute of Management Consultants USA, National Association of Realtors, New York State Association of Realtors (serving on the Board of Directors and several key committees), Brooklyn Board of Realtors, also on the Board of Directos for many years and serving as it’s President in the years of 1998-1999 and on the Board of Directors of the Brooklyn NY MLS. Registered Mortgage Underwriter and Certified Review Appraiser. Originated, processed and placed nearly $1 Billion in mortgage loans of 1-4 family residences since 1987. Real Estate, Appraisals and Mortgage instructor, continuing education and licensing courses. Approved by the NYS Department of State as an instructor for Real Estate Brokers, Salespersons, Appraisal Licensing & CE Courses. Selected to Realtors Honor Society, of the NY State Association of Realtors (2005). Brooklyn Board of Realtors for Distinguished Service on the Board of Directors and as President 1998-1999 terms. Member National Association of Realtors, NY State Association of Realtors, Brooklyn Board of Realtors, Past President of Brooklyn Board of Realtors and member of Board of Directors. Serving since 1998, on the Board of Directos of New York State Association of Realtors, a 60,000 Members Organization.